5G technology enabled mobile / cell phones - What, When, Who and Where ? Most service providers who support 5G today are very focused on rolling out 5G network services for their business or broadband customers. To date, no service provider has launched 5G mobile services for mobile / cellphone customers. Ovum research predicts that by 2023, there will be 10 billion mobile connections - out of which, 5G connections will be 1.3 billion. Lack of mobile phones supporting 5G. There are only very few vendors who have demonstrated 5G enabled mobile phones. Motorola launched Moto 5G, and they sell 4G enabled phones today - providing an option to upgrade to 5G in the future with Moto Mods. Apple announced that their 5G enabled iPhone is not going to be available till 2020 (partly because of their ongoing tussle with Qualcomm and Intel may not have a 5G chip ready until 2019). 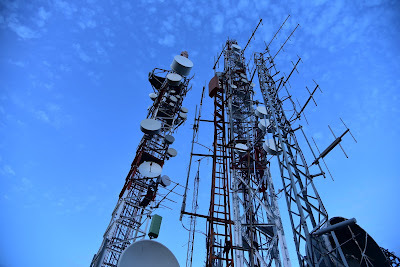 5G technology requires the service providers to completely upgrading the radio infrastructure - requiring them to spend several million dollars in creating new 5G enabled cell towers or upgrading the existing ones. Fixed 5G technology services such as 5G Home launched by Verizon are easier to deploy because you can install 5G cell towers in areas where there is a dense population of customers. Customers are already happy with 4G services - where they get upto 400 Mbps speed. For most common use cases such as accessing web/social media content or watching videos, 4G is good enough. The customers who require 1Gbps speed are very handful. Most 5G use-cases are advanced in nature, and mostly in trials. It is going to be hard to persuade customers to switch to 5G mobile phones / 5G services on mobile, just for higher speeds. Though there are a lot of differences between 4G and 5G, most of the differentiators are for use cases that are beyond providing 5G mobile services. Most 5G network infrastructure has to be cloud native - however the vendors are not ready yet with completely virtualized network infrastructure, delaying the service providers from achieving their network virtualization goals. This indirectly has an impact on the 5G mobile services. Let us look at the What, When, Who and Where for 5G enabled mobile phones. What: Mobile phones supporting connectivity to 5G towers and 5G network services. When: US taking the lead in launching 5G services. Verizon has already launched the 5G based fixed wireless services for residential customers. AT&T has said it will launch 5G mobile phone services very soon. Verizon has said it will launch 5G mobile phone services in 1H 2019. Where: Mostly in US, China, UK and South Korea (based on the 5G cities that are publicly announced). In India, 5G services will be launched in late 2021 or early 2022.